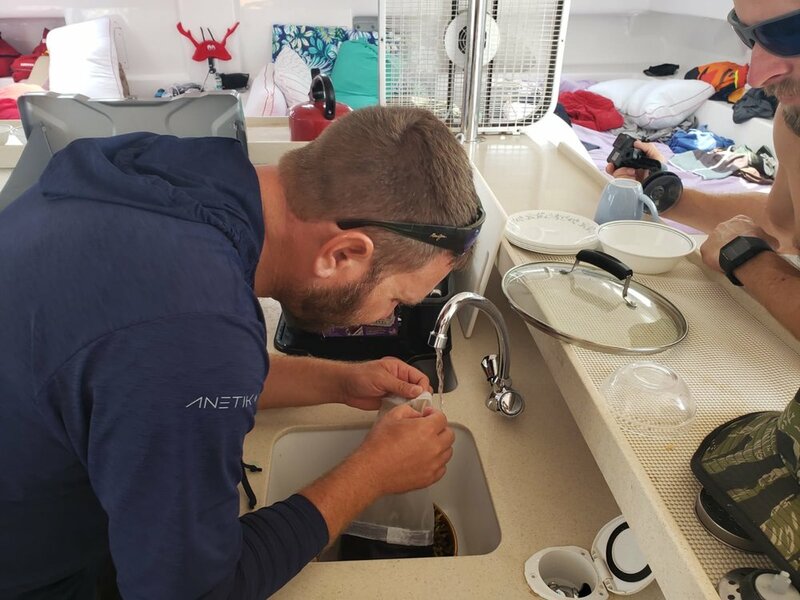 Our Crew made it to Panama in a short 3.5 days! Now they are experiencing a classic “hurry up and wait” scenario. 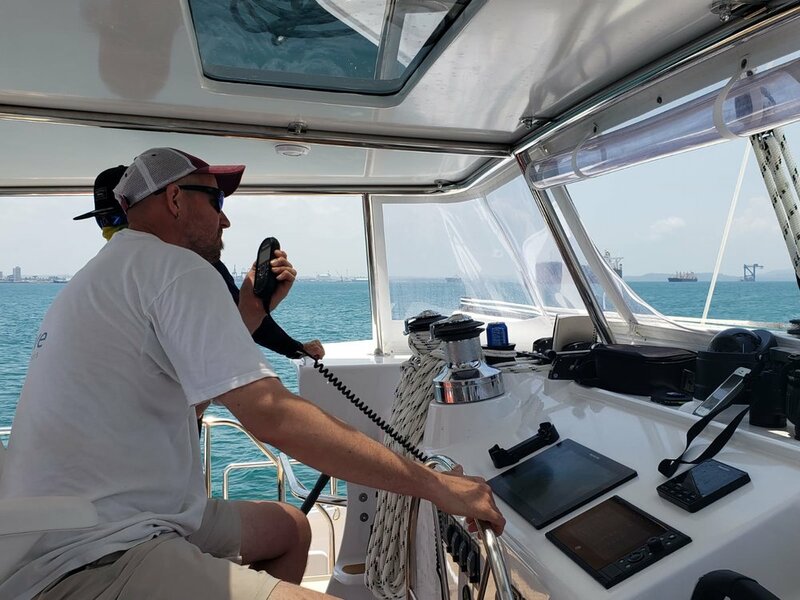 Enjoy Rich’s recap of their journey to Panama and stay tuned for future updates on how they are passing time in this port! 1000 nautical miles is 3 and a half days. Pretty easy as passages go; 13- knots average speed and downwind the whole way. I’d say it was a good warm up to prepare us for the longer passage to come. We are a pretty skeleton crew of just 5 which means our watch schedule is solitary but favorable. The watch rotation downwind to Panama was 2-hrs on 8-hrs off so lots of time to sleep off life at sea (exhibit A photo below of Capt. Nick enjoying his downtime). Everyone was a little tired at the beginning but we got into the groove pretty quickly. While on watch your main duties consists of not banging into any ships (ie: keep the boat afloat), keeping an eye on the engine temperatures, writing down the coordinates in the log book hourly and staying alert. Because the shifts are relatively short, staying alert hasn’t been an issue. The nights are my favorite; being alone with the stars to keep you company, skipping across the ocean at night is like flying. I'd prefer to have just the sails up but we are mostly motoring, trying to reach Panama due to a schedule we have to keep. When you are not on watch, you are responsible for your own meals, with the exception of Dinner. Dinner is cooked in rotation by each crew member—keeps it interesting. We record this data and will send to 5 Gyres when we reach Maui. 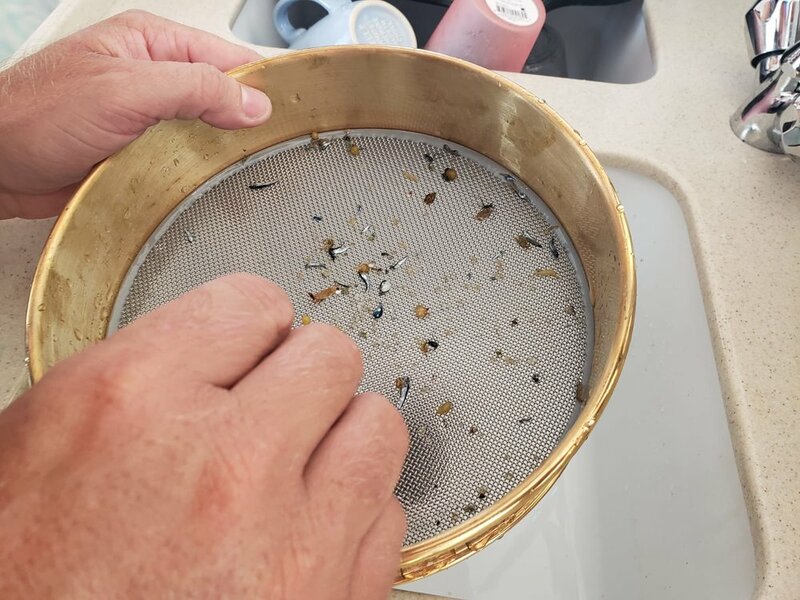 (Top photo: Kooks assembling the Manta Trawl, Middle photo: collecting the micro plastics, bottom photo: Nick cleaning the filter).